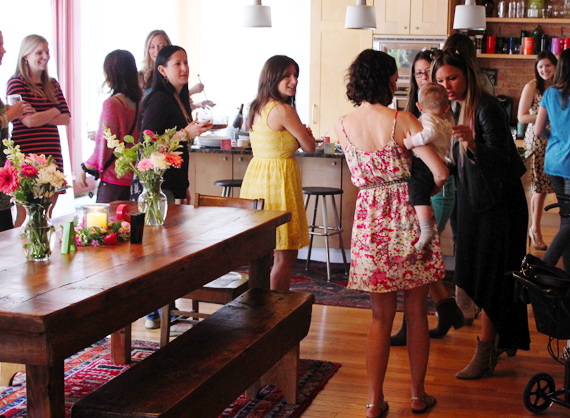 Last weekend, my friends Rachel, Andrea, Anna, Neely and I threw a surprise baby shower for our dear friend Mary Welch. She moved away a few months ago but was in town for the weekend, and had no idea what was in store for her when I picked her up "to go to brunch" Saturday morning! Her reaction was beyond priceless, and I'm fairly certain that every single one of us was in joyful tears after her grand entrance. She is an absolutely amazing lady with a huge heart, and to see her so thrilled was truly one of the highlights of my year so far. 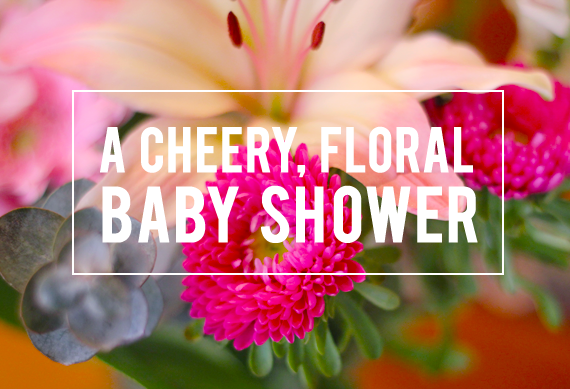 When we started planning the shower, we decided to go with a bright, cheery, floral theme. Mary Welch ("Melch") is such a glowing, colorful spirit, and combined with the arrival of springtime (and the fact that she's having a baby girl! ), it seemed like the perfect plan. 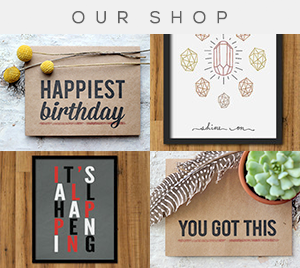 We wanted to keep things as DIY as possible in terms of decor, favors, activities and food, and did a lot of brainstorming to come up with different projects. 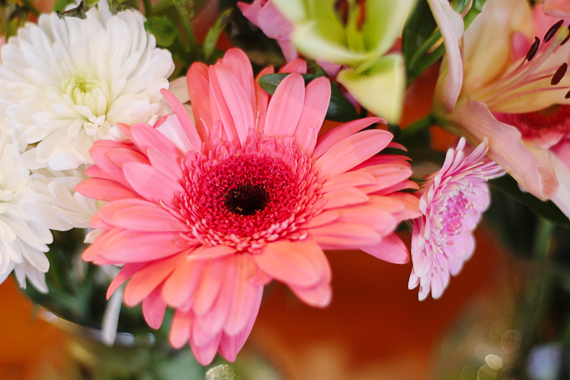 We chose to place fresh flowers throughout the apartment, and to incorporate lots of vivid, feminine colors and fun decor that included handmade hanging tissue poms in different shades of pink, letters for the baby's initials, and clotheslines full of baby clothes and bibs that Melch could take home. Andrea came up with the clothesline idea and it was a huge hit! 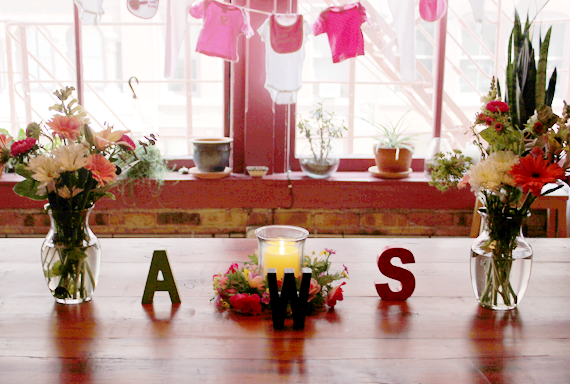 For those of you planning baby showers, it's a great way to create an adorable decoration that doubles as a gift for the mama-to-be. 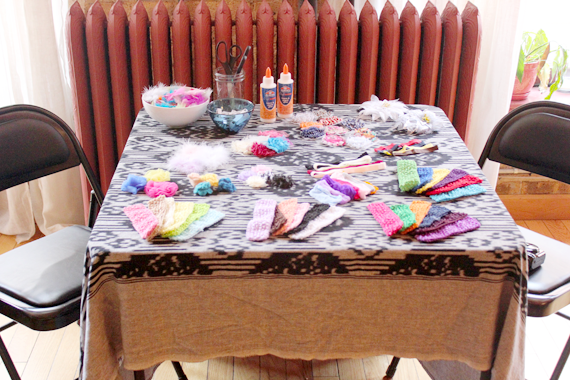 We wanted to incorporate a DIY activity in place of traditional games, and Rachel came up with the idea to make headbands. 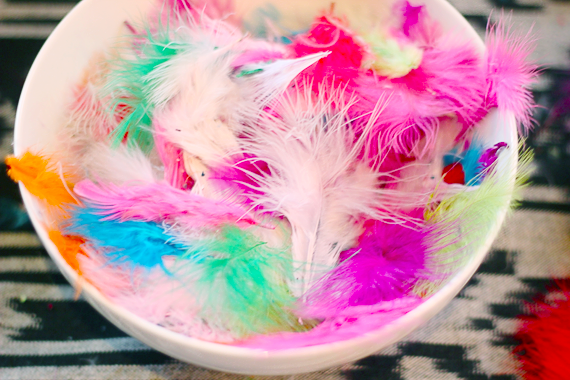 We purchased plain elastic infant headbands in different styles and colors, along with pretty flower pieces, bright feathers, and other fun accents. 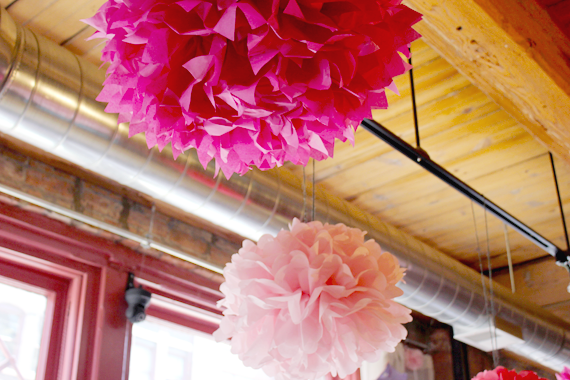 Guests used craft glue to adhere the decorations and design their own one-of-a-kind pieces. 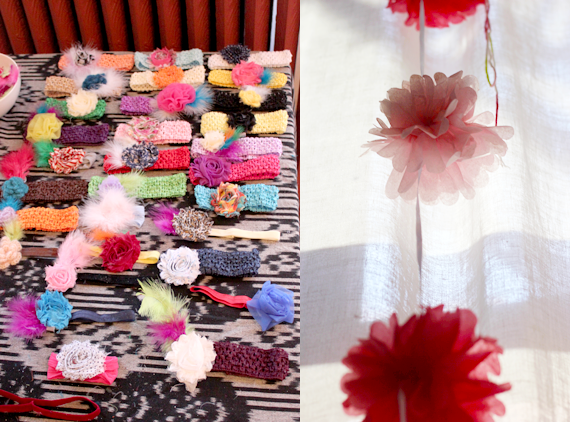 In the end, Mary Welch had dozens of beautiful, bright headbands to take home for her baby girl. 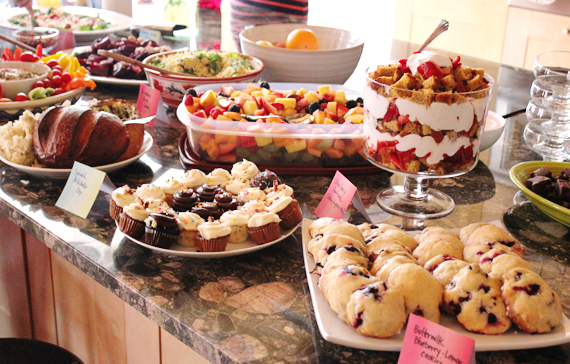 All of the food was homemade (extra thanks to our very talented chef of a friend Laura for her delicious contributions! 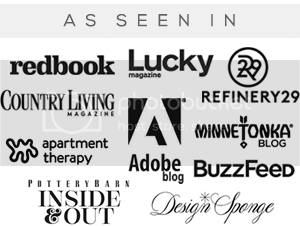 ), and featured everything from unique salads, dips, and breads, to a springtime sangria and fruity non-alcoholic drinks, to my personal favorite: salted caramel brownie bits. 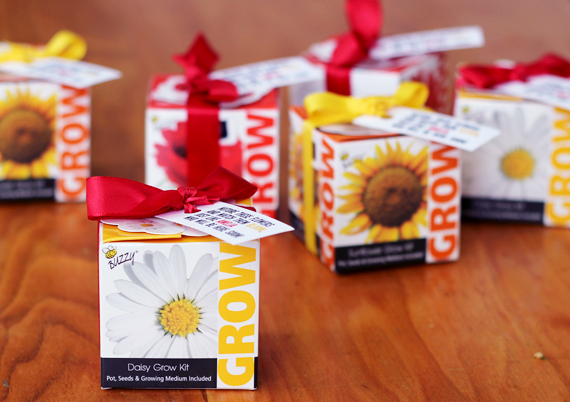 For the favors, I bought mini daisy, poppy, and sunflower grow kits, printed out personalized tags ("Nurture these flowers and watch them bloom, just like Amelia who will here soon! "), and tied them on with red and yellow ribbons. Congrats Lauren! Please contact me at bubbyandbean (AT) gmail with your mailing address so we can get you your prizes! 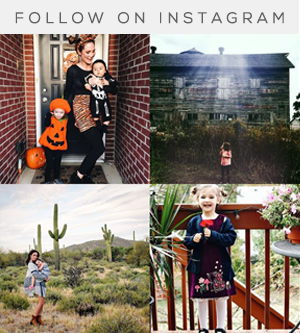 this looks like so much fun, and the mom to be looks gorgeous in her flower crown! So beautiful. I am so happy for Ryan and Mary as I know they will be great parents! Looks like everyone had a great time. Wauuww , it looks so beautiful all the photo's! And it look's that you had so much fun. ps. 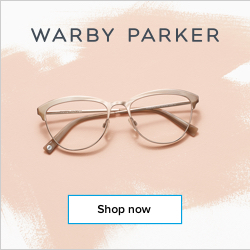 do you wanna watch my blog? 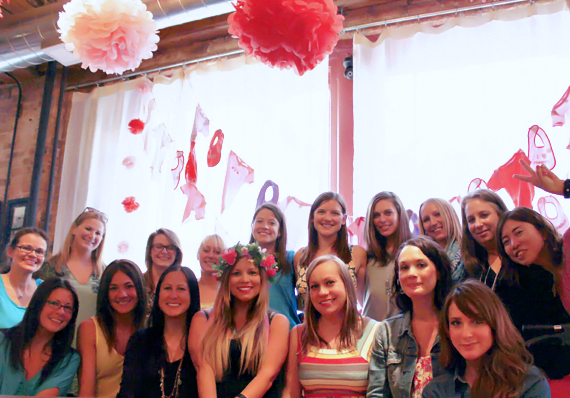 Beautiful baby shower! I love the tags that you printed for the favors. 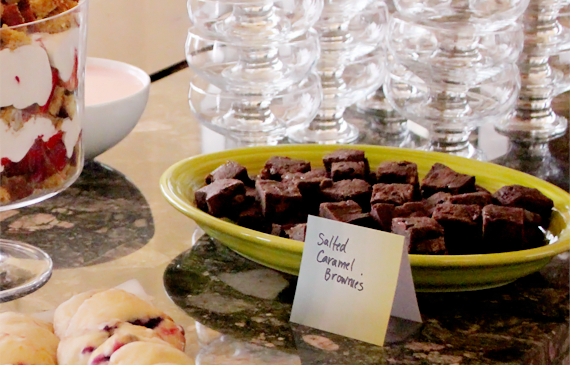 Everything (especially those salted caramel brownies) looks amazing. And your friend looks stunning with her crown. Congrats on a very special party! 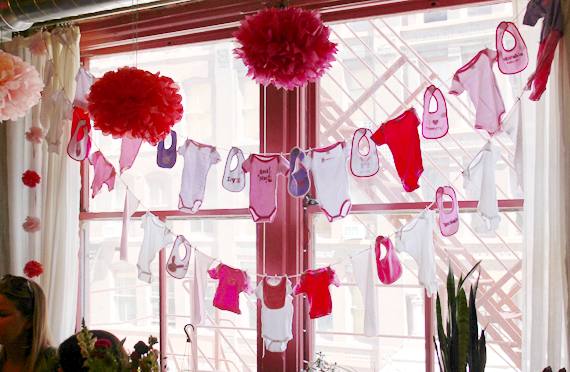 What a stunning baby shower! So pretty! I love the big tissue puffs and the favors. 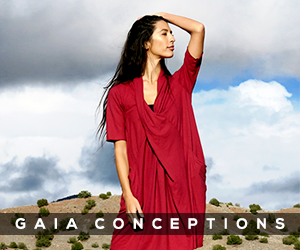 Beautiful ideas. What fun!! LOVE the colorful decorations. 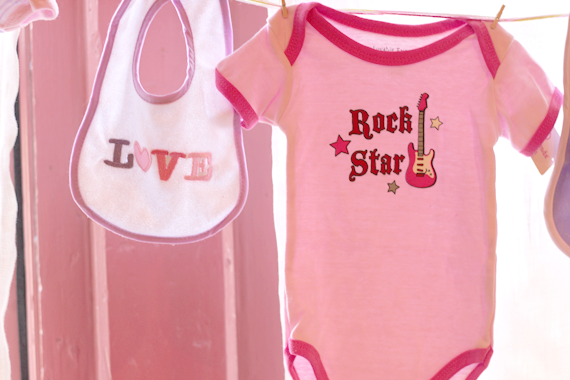 And the Rock Star onesie is just TOO cute!! what a beautiful, creative shower! loooove this so much! I love each and every detail! What a perfectly cheerful shower! 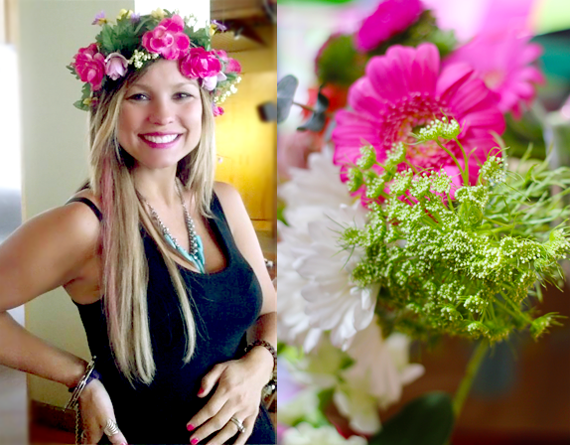 what a beautiful picture of the mom to be with the flower wreath. you should frame that for her. just lovely. What a sweet shower and beautiful mama! this is adorable, love the idea!